Ready For Biketoberfest? We Are! 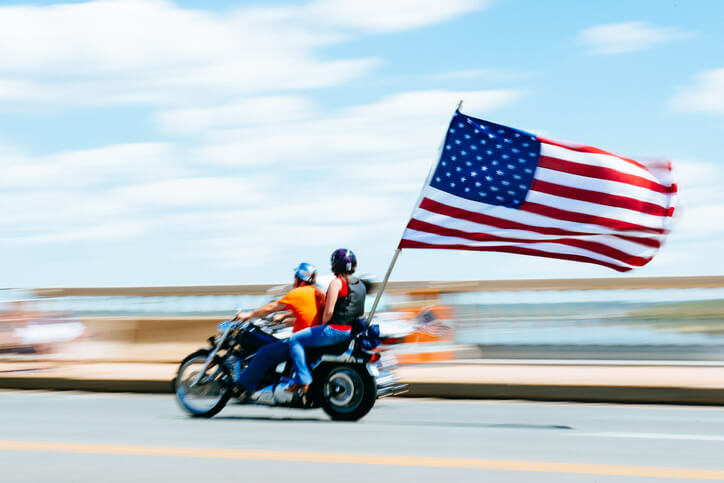 We know you work hard day-in and day-out, and so do the motorcycle attorneys with 911 Biker Law. That’s why we’re ready to relax and unwind during Biketoberfest 2018. Don’t get us wrong — we love helping each client at our law firm, but we also know the importance of recharging. Stop by Friday through Sunday at Orlando Harley Davidson to say hello to our team or grab some free goodies we’ll be handing out at Main Street and Beach Street! Each year, more events are added to Biketoberfest, giving you the chance to experience something new. From vintage motorcycle races to new ride routes, Biketoberfest continues to grow. Bands, contests, restaurants, and more blend seamlessly to provide a range of entertainment for new and veterans guests alike. Biketoberfest brings people from across the United States and the globe which often leads to making new friends every year. Whether this year is your first or 26th, it’s a great opportunity to catch up with old friends while enjoying a shared passion for motorcycles. Wander through one of the many bike shows and discuss your favorite bike with friends. Or, kick back and relax while listening to a favorite band. These small items are a good reminder of the fun and merriment had by all during the annual event. Many attendees collect the pins, building impressive collections through the years. For others, the pins are a small artistic reminder of the lifelong memories created during Biketoberfest. 5. A Free Tow Card From 911 Biker Law! Don’t miss out on your opportunity to pick up a Free Tow Card from 911 Biker Law! These cards are more than helpful if an accident or mechanical issue happens on the way to or from Daytona — it covers the first 10 miles of a one-way tow to the closest repair shop. Stop by our office or booth to pick up a card and don’t leave Biketoberfest without it!